Up until this past Father’s Day I had never heard of YETi Coolers before. My wife had. She works at Bass Pro Shops and was in the know as to the popularity and effectiveness of their products and it’s always fun to see all koozies and all the other items they have. That’s why she got me one of their Rambler Colsters for Father’s Day. She knows how I like things either really hot or really cold. The Rambler Colster is basically a stainless steel, vacuum insulated can cooler. 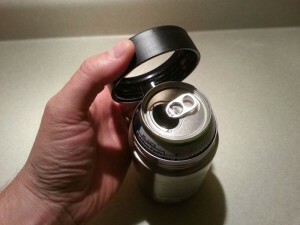 One of the things that sets it apart from other can coolers is the gasket that screws on the top sealing in the can. It works with either a 12 ounce can or glass bottle and is sweat proof. My wife told me stories of co-workers that had other YETI products and how well they worked. Some keeping ice for days or drinks cold for hours. Hearing this I was excited to try out my new present! It really did keep a canned beverage cold for quite awhile…. as long as I needed it to. I did wonder what the numbers would be behind it’s effectiveness. That’s right, I tend to want to know obscure, unimportant details. It’s just the way I am and a character trait I’ve passed on to my oldest. Knowing this I asked her if she’d want to help in a little experiment to test my YETI. Of course she was game and we devised our experiment. We had 4 cans of Dasani Sparking Lime water that no one in our family cared for. They would be the canned beverage in our experiment. We refrigerated them over night. Then lined them up next to each other. One poured into a red plastic party cup. One in the can and nothing else. Another in a neoprene Koozie. The final can went into the YETI. The temperature of the room remained a consistent 72 degrees throughout the experiment and all the beverages started at 41 degrees. 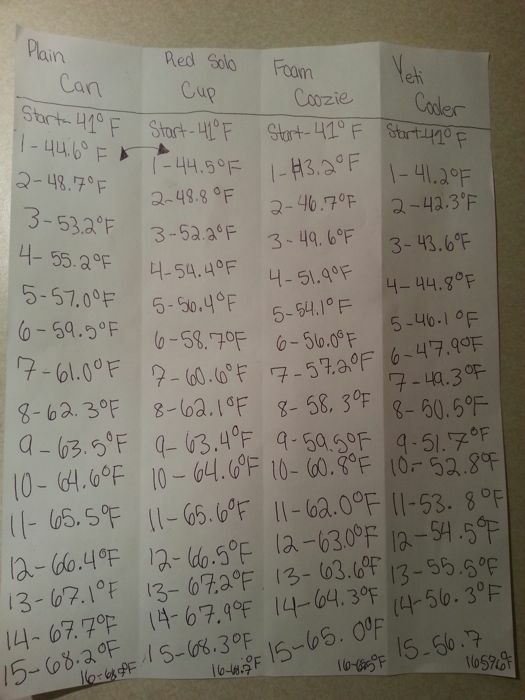 We took each beverage’s temperature every 15 minutes with a digital thermometer and my daughter documented the results. We stopped after 4 hours because we were getting bored and we figured anyone who took 4 hours to drink a can of soda or beer probably didn’t care how cold it was anyway. 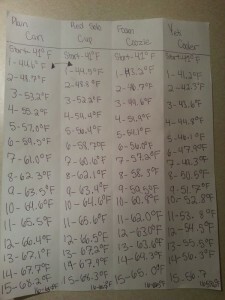 It was fun to try and guess what the temperature of each would be at the next reading. They all got to be fairly predictable and my daughter got pretty accurate and predicting what their temperatures would be. I can say with out a doubt that the Yeti Rambler Colster crushed the competition! After 4 hours the Yeti was 7.9° colder than the closest competition. Just for fun the next morning I checked the temperatures of all again. 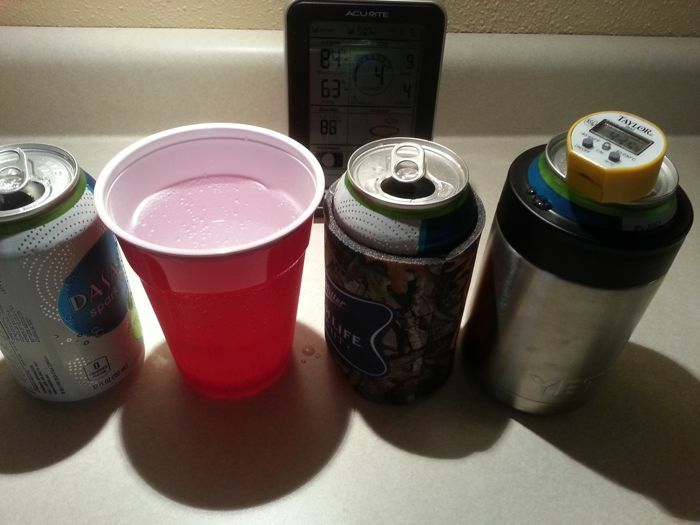 The can, cup, and koozie had all warmed to room temperature, 72°, but the YETI was still at 68.9°! So, now that you’ve seen the results it’s up to you to decide if the YETI Rambler Colster is worth the 30 dollar price tag. 50 if you buy it on Amazon! If you’re a sipper it definitely is! 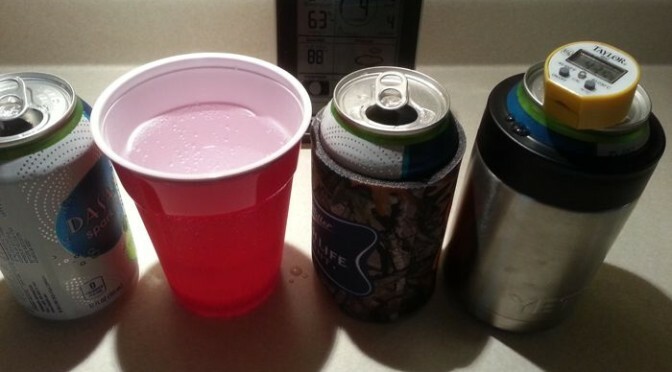 Your drink will stay colder longer. If you’re a chugger it might not be necessary but you still might want to get one to cut down on your trips to the cooler! Grab 2 cans each time. Put one in the Yeti to stay cold while you drink the other. The only downside I’ve found (if you could call it that) is that it has a little weight to it. 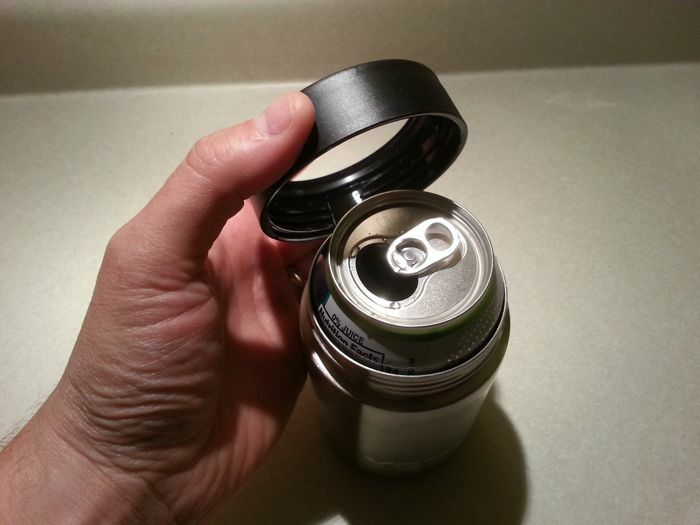 This can give you a false sense of your can being fuller than it really is. Do you have a YETI Cooler story of your own? I’d love to hear it? If you’re wondering where you’ve heard of YETI Coolers before it might have been in this song being played on country radio. Very cool excitement and great bonding with your daughter! Thanks, Katy. It really was fun and you’re right about it being a great bonding time with my daughter. Wow! What wonderful semi-scientific results! Your wife is a very smart woman. 🙂 Great idea!